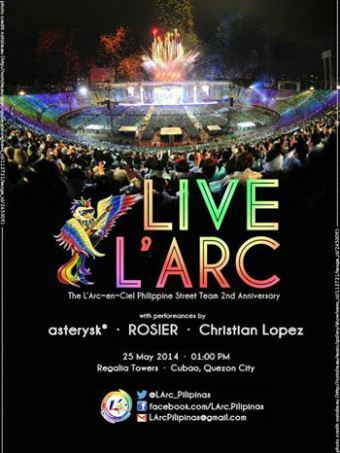 To commemorate the second anniversary of L’Arc~en~Ciel Philippines’ #LArcMNL campaign, Pinoy L’Arc~en~Ciel fans gathered on 25 May 2014 at Regalia Towers, Cubao for a day of fun-filled games (complete with bananas, chocolates, and marshmallows), amazing cover performances, and non-stop spazzing. 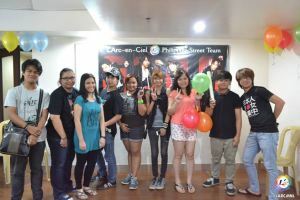 Despite the L’Arc~en~Ciel Philippine Street Team’s (LPST) busy schedules and limited time for preparations, the event, titled, “Live L’Arc”, was still attended by about 30 individuals, and lasted from 1-6pm. To break the ice, attendees were grouped into two for the game “IntroDon.” Inspired by the game from Shounen Club, members from each of the groups must guess the L’Arc~en~Ciel songs just by listening to their intro, which were played for one second each in the first round and half a second each in the second round. For this game, the first group won, and their prize was an iTunes Gift Card.